Mazda are the Japanese cars with a bit more attitude. When you lease a Mazda you get all the reliability and build quiality you would expect, but you also get some very stylish design. 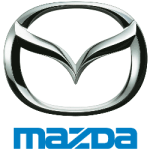 Take a look at the range from the Mazda 3, Mazda MX5, Mazda CX3, Mazda CX5. At Little Green Car we have some great Mazda lease deals. Check out the pages here and contact us if you don't see the Mazda lease deal you're looking for.